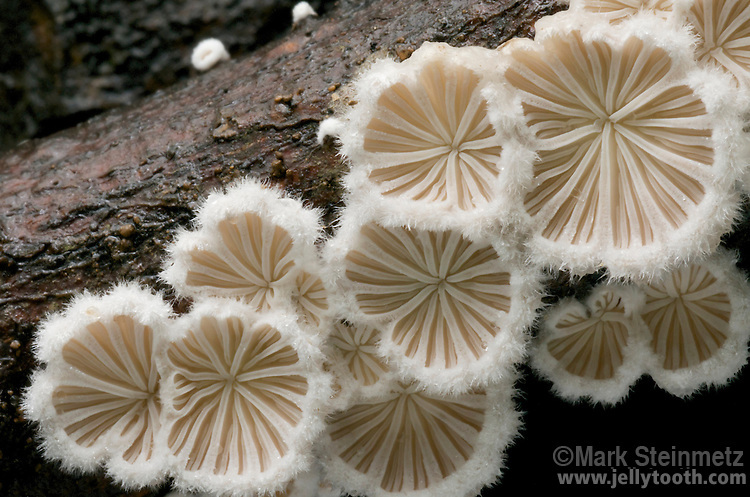 Underside of a log, showing saucer-shaped appearance of centrally attached frutibodies of Split Gill (Schizophyllum commune). This saprobic mushroom is often found in overlapping clusters on decaying hardwoods. What appears to be gills are actually radiating folds or lobes. One of the most common and widely distributed fungi species worldwide, found on every continent.